Tuesday, March 3rd, 2015, promises to be a great day in the life of HRM Rotary Clubs! That is the day of our Mini Conference, all of you are all invited to attend. 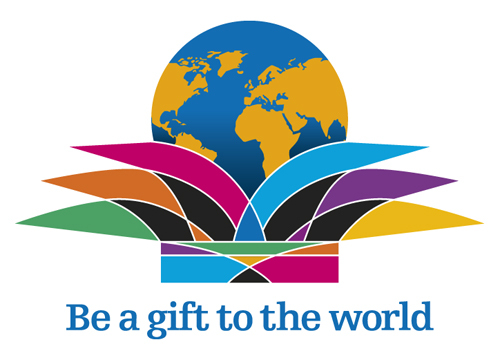 Rotarians from around Metro will gather at the Holiday Inn Harbourside (Dartmouth) to celebrate how great it is to be a Rotarian, and to share in information exchange and visioning for our future in the community, and abroad. This will also be a great warm up for the District Conference, April 30 - May 3. Price for all meals is $18, tax and gratuity included. Registering, and paying ahead of time, will be of great support to the event planners, and we encourage you to do this. The actual menu selection for your meal can be done on site when you arrive at the event that evening. Rotarians will be there at the Welcome Desk to assist you with this, beginning at 5:15 PM. The Mini Conference Program begins at 6 PM, and will end at 9 PM that evening. Among other things, you will hear about the Future of Youth Exchange, The Upcoming District Conference, Update on Hospice Halifax. For parking, please enter the hotel entrance and park on the MacDonald Bridge side of the building. Parking is free! You won't want to miss this opportunity to meet, greet and celebrate your fellow HRM Rotarians. See you there! The next meeting of the Rotary Club of Halifax will be Thursday, October 17, at 7:30 am at R.A. Park. The speaker will be Barbara Adams of PhysioCare at Home. Club President Bob Power and Assistant DG Wendy Keen assisted. September and it appears prices are increasing and menu may change. He will speak to manager to get more details and how it will affect us and report back next week. Terry will collect Vacation Draw money for tickets sold since Cemal is not present. Guest Speaker: PP Heather MacDonald introduced our speaker. District Governor Greg Coldwell is a Annapolis Valley native involved in farming for over 30 years and a leader in many farming organizations. He has 2 sons and 5 grandchildren. He also serves on his community Council. Has many interests. His wife Claudia was in attendance. DG Greg first asked “Why did you join Rotary”? The more you put in, the more you will get out. These are words from Rotary International President Ron Burton. He asked Assistant DG Wendy Keen to read the wording on the “True Rotarian Award” which is to be presented to a member of our Club. Terry Pond was the Rotarian who received the well deserved Award.Terry’s wife and daughter came in just as Award was being presented and this was a surprise for Terry. 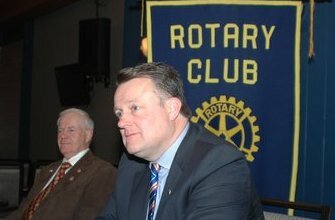 DG Greg spoke about how the average Rotarian changes lives while being a member. He had several examples of the work of Rotary and the positive affect it has on people around the world. You have to engage members in the work of your Club. He mentioned that our District had the largest percentage increase in membership in our Zone. He encouraged members to support the Rotary Foundation and reviewed the Polio Plus program and we are very close to finishing the job. He told the story about, when he was 11, the Rotary Club of Wolfville giving him a short horned calf as a result of his work with 4H. He circulated a cow bank into which members could contribute to Polio Plus. He concluded with a video on the 2014 District Conference. 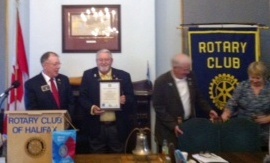 President Bob thanked the District Governor and presented he and his wife, Claudia, with our Rotary Centennial mugs. Adjournment: Jong Kim led in the singing of “O Canada”. Next Meeting: The next meeting of the Rotary Club of Halifax will be Thursday, October 17, at 7:30 am at R.A. Park. Tickets are now on sale for the Vacation Draw. If you do not have your tickets, contact Cemal for your package. Electronic information will follow later in the week for you to send by email to your prospects. Nordic Pole Walking Nova Scotia o/a MRC Associates Inc.